BURLESON, TX - While coaching her 9-year-old girls' basketball team in a competitive match between the Burleson Youth Association and Alvarado, Jessica Curs, a respected youth coach, wife, and mother, noticed that a particular spectator was being loud and unpleasant. Unbeknownst to Jessica, this spectator was Captain Gary Melson of the Alvarado Police Department. Jessica assumed that Capt. Melson was a parent of a participating child, and she ignored him. After a foul was called in the game, Capt. Melson became argumentative and unruly. Ms. Curs asked him to refrain from interfering with the game. At that point, Capt. Melson stood up from the bleachers and abruptly and aggressively grabbed Jessica on the arm. Several witnesses saw red marks on her arm from the strength of his grip. Capt. Melson told her to exit the gym with him, and Jessica refused, as she did not know Capt. Melson. Capt. Melson quickly flashed his badge at her, but Jessica protested that she had no way of knowing whether his badge was authentic, as he was dressed in civilian clothes. Officers from the Burleson Police Department were called to the scene. Jessica was forced to forfeit the game at that point, but she remained in the gym until the Burleson police arrived. After a brief conversation, the Burleson officers told Jessica that she was free to go, and she left the gym. 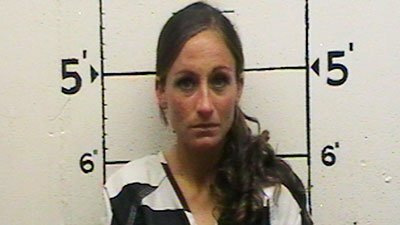 Over two months after this incident, Jessica received a notice in the mail, indicating that a warrant had been issued for her arrest by the Alvarado Police Department. It alleged that Ms. Curs “Evaded Arrest or Detention” – despite the fact that (1) Jessica did not know Capt. Melson to be a peace officer, (2) Capt. Melson did not have lawful authority to arrest or detain Jessica at the time of the incident, and (3) Capt. Melson specifically told the Burleson Police officers that he did not want Jessica arrested or to have a citation issued to her. Jessica voluntarily turned herself in to the Alvarado Police Department the next day. She was assured that she would only be subjected to a “walk-through,” which would be over quickly. Instead, Jessica was subjected to an invasive and unnecessary search, she was stripped of her clothes and forced to wear prison garb, and she remained in a jail cell for approximately six hours. In early September, the Alvarado Police Department posted misleading and defamatory statements about Jessica on its public Facebook page. See “Exhibit A,” attached. This post was quickly picked up and circulated by other media outlets, and it was widely viewed and commented on by members of the public before it was deleted by the Alvarado Police Department. Johnson County Attorney Bill Moore eventually dropped the charges against Jessica, but Jessica’s attorneys, Chad West and Jonathan Michell, who handled both the criminal and civil matters, are not prepared to let this abuse of power fade away just yet. The attorneys at Chad West, PLLC, Chad West and Jonathan Michell, who represent Jessica on both the criminal and civil cases involved with this incident, have announced that they are in discussions with Jessica and the City of Alvarado about the incident. The DFW-based attorneys at Chad West, PLLC have over 20 years of combined experience and have an exemplary track record and reputation. The team specializes in defending criminal and civil cases. Chad West has been recognized as Lawyer of the Year by the Dallas Association of Young Lawyers and was selected as one of the Best Lawyers in Dallas by D Magazine in two consecutive years. Additionally, Attorney Jonathan Michell served as a prosecutor before switching his niche to defense. He is well-known for court wins and has had over 30 victories in the past six months alone. Contact: Rocio Murillo at (469)-416-6122 for more information.